Sat Purkh is a Kundalini Research Institute-certified level-three Kundalini yoga teacher, as well as lead trainer in the Aquarian Trainer Academy. 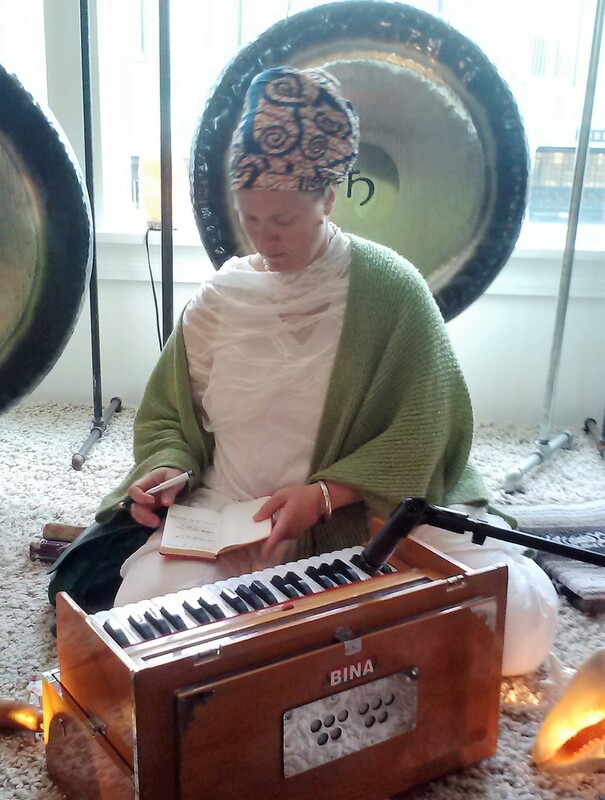 She is known for her work in sound and mantra as well as humanology and women’s teachings. She authored Everyday Grace: The Art of Being a Woman, an introduction to the women’s teachings of Yogi Bhajan. 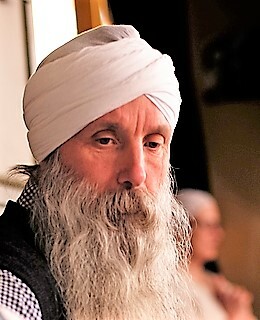 Sat Purkh joined the Kundalini Research Institute in 2006 and served as the creative director until 2013. A member of the Teacher Training Executive Council, she serves in developing the three levels of teacher training in Kundalini yoga as taught by Yogi Bhajan. She also served on the KRI Board of Directors from 2014 to 2017. She has 10 albums of sacred music, Nectar of the Name, Beautiful Day: The Aquarian Sadhana, Queen Be: The Goddess Within, Love & Other Miracles, One: Love, Life, Light, The Pearl: Maiden, Mother, Crone, The Guru Within, Across the World Ocean, The Yogi, and The Sadhu. She lives with her husband and their menagerie of animals, and is always at work on her next album of sacred music. Abhai Raj has been practicing yoga and meditation since 2004 and is a KRI level-one instructor. His primary meditation practice is Kriya yoga as taught through the lineage of Mahavatar Babaji, Lahiri Mahasaya, Swami Sri Yukteswar, and Paramahansa Yogananda. He’s forever indebted to my meditation teachers Alan Pritz and Roy Eugene Davis for their instruction and guidance, and has no doubt this practice gives expanded consciousness and leads to liberation. In 2011, he had a profound meditation that included a clear vision – he was to serve and protect a noble woman. Shortly thereafter Sat Purkh and he began courting. They married within the year. There’s no greater joy for him than to support her music and teaching of Kundalini yoga as taught by Yogi Bhajan.